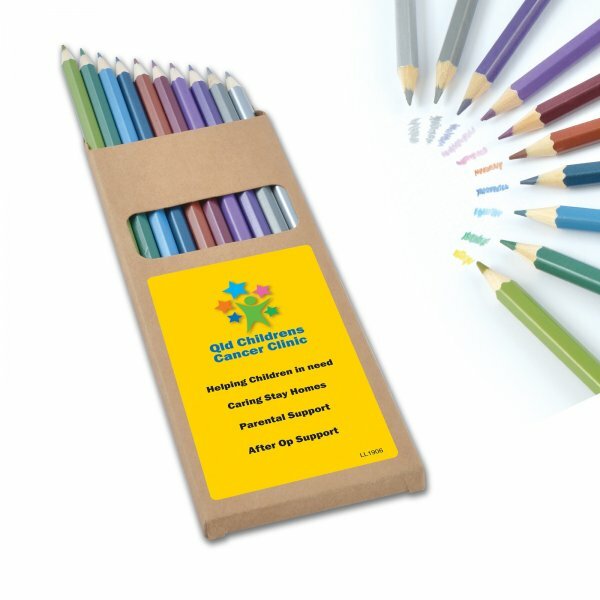 Set of 10 metallic full length sharpened colouring pencils, in natural cardboard box with window. Recommended for adult colouring in books. Cardboard BaseCardboard base reduces ink density when pad printed. Pantone colour matches not possible.